The response by taxpayers to the tax amnesty facility, as widely predicted, seems rather weak. 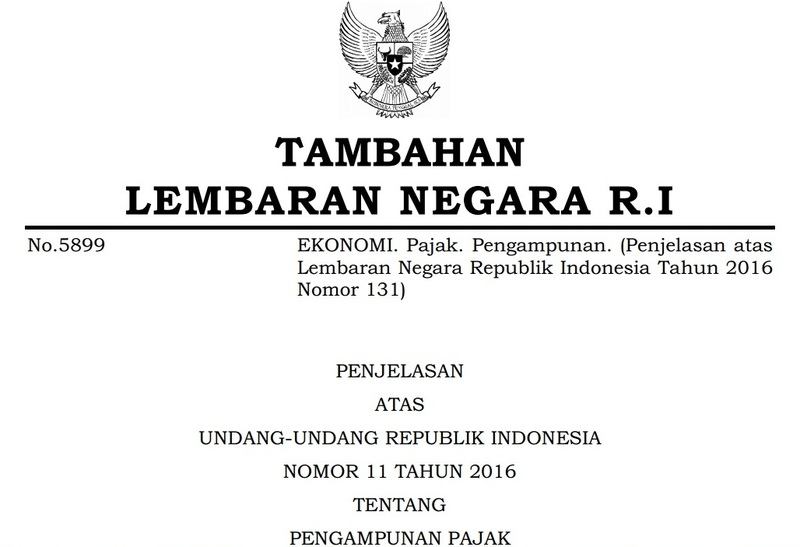 Since its launch over five weeks ago, only Rp 1.9 trillion (US$143 million) in assets has been repatriated and Rp 59.5 trillion assets declared, generating Rp 1.18 trillion in redemption fees, a mere 0.7 percent of the target, wihile the facility is set to expire within six months. Yet more discouraging is the fact that most of the taxpayers who used the facility are individuals, whose declared assets average Rp 6.4 billion. However, it is too early to blame the problem on the taxpayers. After all, a nationwide campaign to communicate and market the tax pardon started only early this month. Worse still, several civil-society organizations have opposed the tax amnesty, considering it unfair and asking for a judicial review of the law at the court. Uncertainty over the law’s status will thus continue to linger until the court makes its decision. However, the court has yet to schedule a hearing for the case. Several analysts have said that many taxpayers may wait until the last few days before the facility expires on March 31, or at least until the Constitutional Court makes its decision. Yet more damaging is the government’s implicit support for the idea of setting up a domestic tax haven on a specified island. This stance seems to have prompted large taxpayers wishing to avail of the tax amnesty to demand anonymous accounts or nominee deals for repatriated assets. This would be a blatant form of money laundering. The domestic tax haven plan is contradictory to the upcoming era of greater transparency, in which tax matters are carried out through the automatic exchange of information between tax authorities worldwide. Furthermore, even the hint of a plan to establish a tax haven could create a new generations of tax evaders keen on hiding their assets. As long as the government does not explicitly state its total opposition to the idea of a domestic tax haven, we are concerned that big tax evaders will not avail of the tax amnesty until they are given another haven within the country to hide their assets. Despite all these issues, it still seems justifiable to extend the validity of the tax amnesty by at least another three months to the end of next June, to allow more time for tax officials to serve applicants. But such an extension should be supported by a more rigorous campaign to enlighten taxpayers on the legal and technical aspects as well as benefits of the facility, especially for small and medium-scale businesses. The government should also continue to strengthen the reform of the Directorate General of Taxation to improve the integrity and credibility of tax officials in the public eye. As long as there is mutual distrust between taxpayers and tax officials, the amnesty is unlikely to achieve its objective. Easing the bureaucratic procedure by providing online services to the facility’s applicants could also help attract more taxpayers in taking part in the tax amnesty.